It may still technically be fall but Massachusetts just got their first snowfall last night and it’s feeling a lot like winter! Homeowners are getting their first shoveling in of the year and they are hunkering down for the holidays. Another important thing you need to do during the winter is make sure that your home’s exterior is taken care of! From the windows on your home to the siding and roofing, everything takes a little more of a beating this time of the year. Last blog we talked about siding maintenance tips, so we felt it would be good to inform everyone of important roofing tips this winter! What does this have to do with your roof? Trees branches that hang over your home are actually very dangerous because they can cause damage when falling. With the extra weight that snow adds, be sure that you trim any branches that are hanging over your home! After the last leaves fall, make sure that your gutters have been cleaned. Gutters filled with leaves, debris, pine needles and twigs going into winter is just asking for problems! Clogged downspouts will lead to ice dams, leaking and damage to your roof. The flashing on your roof is an integral asset of the whole system. It is placed on roof intersects and joints to direct water off your roof and to protect these vulnerable areas. Ice, high winds are a leading cause for flashing damage so be sure to check it out from time to time during the winter. If you have a flat section on your roof that accumulates snow, be sure that you take care of it. 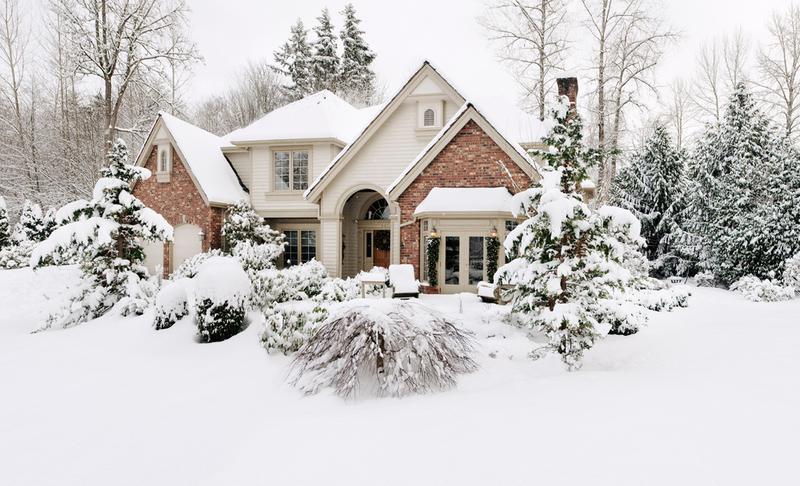 When big snow total winters arrive, snow buildup leads to an abundant of issues for a roof. Don’t ever go up on your roof during the winter, but either use a roof rake or contact a professional! If your roof has had some problems, be sure that you get it repaired or installed before a huge storm causes more damage to your home. For more information on roofing services, please feel free to contact Jancon Exteriors. We can be reached at 508-520-3935 or through our online contact form.